The day was 30th January 1948, exactly 71 years ago. It was a chilly Delhi evening when Mohandas of India or Mohandas Karamchand Gandhi, the 19th century’s great leader- Mahatma Gandhi, was returning from a prayer meeting held in Birla House, New Delhi. As he stepped down the Birla House, a person named Nathuram Godse reached the venue and shot three rounds of bullets at Gandhiji’s chest at 5:16 pm (it’s a controversy that he shot Gandhiji at 5:17 pm). After the attack, people around GandhiJi rushed to take him inside the Birla House. One of the attendees of prayer meet Dr. D.P. Bhargava immediately declared Mahatma’s death. In a rapid response, people grabbed Godse and took him to the Tughlaq Road police station. That is how a period of Indian history was killed. That was the end of the Mahatma Gandhi era. 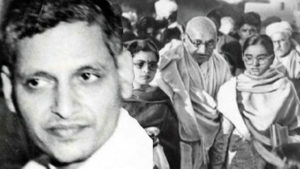 However, during the investigation, the assassin Nathuram Godse cleared that there was no personal animosity with Gandhiji. Mahatma Gandhi’s thoughts and decisions were the reason. What Godse had told the court? There can be a long debate on this matter when a person starts imposing his ideology on others. Imposing the ideology leads to dictatorship. The fatal death of Indira Gandhi and Rajiv Gandhi in the history of Indian politics also proves this point, perhaps. But there is no point to debate because this is the reality that no way of Gandhiji’ had been questionable. Hence his reputation as a politician and leader is unfadable, even after 70 decades. For the freedom, development and public welfare of India, Gandhiji fought all his life. Regarding this, the erstwhile government announced the celebration of this day as a martyr’s day. But we should know that other than the 30th day of January, there are more martyrs’ days for India. March 23 is a martyrs’ day, when a 24-year-old Bhagat Singh, 23-year-old Rajguru and 24-year-old Sukhdev had hanged to death during their freedom fight in the year 1931. They had shot dead a British Police Officer JP Sanders in an aggressive response to the death of Punjab Kesari Lala Lajpat Rai on November 17, 1928. In jail, all of three had been on hunger strike for the rights of Indian prisoners. 30th July 1931 is celebrated as the martyr’s day in Jammu and Kashmir. In that year, 22 people were killed by the Royal soldiers of Maharaja Hari Singh of Kashmir. They were protesting against Maharaja and his empire. Every year, 21st day of October is celebrated as the Day of Birth as an honor for the police personnel, who lost their lives during their duties. 17 November, the death anniversary of Lala Lajpat Rai is also celebrated as martyr’s day. When the British had killed Lalaji by beating him with sticks in 1928. Another martyrs’ Day is celebrated on 19th November. During the revolution of 1857, hundreds of nationals sacrificed their lives to liberate the country. Whenever a person sacrifices life for the country, the day is the martyr’s day. Therefore, every person who lives in a country understands the responsibility and contributes to improving the country. It is the duty. This is not a special responsibility for a particular person or a group of individuals. Even a common man should have the same commitment to the country like a leader, a great man, or a soldier. Govt. asked to waive off farm loans of farmers who committed suicide. Know which state it is?